What’s old is cool again when you shop for antiques in Coastal Alabama. Discover treasures from long ago in quaint shops. Shop for antiques in Downtown Fairhope. As one of the oldest cities in America—and steeped in French, Spanish and deep South influences—the rich cultures of Mobile’s past and present collide to create a true melting pot of Southern arts, crafts, food and wares. Stroll the beautiful downtown streets to see fine boutiques, art galleries and antique shops that hold rare and incredible pieces from all over the world—or made right in front of you by a sidewalk artisan. 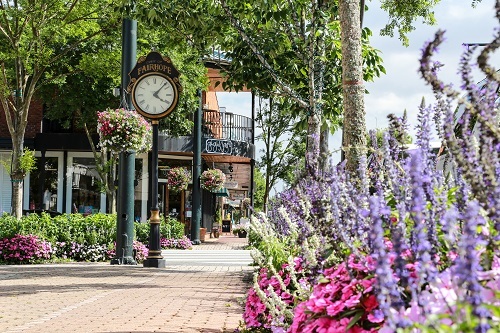 Downtown Fairhope and Olde Towne Daphne provide some of the most ideal, quaint and beautiful shopping strolls in the South. From rare antiques from around the world to high-end boutiques and art galleries, you may want to buy everything you see. Stop by Little Red’s Crafting & More and the Community Thrift Store for great finds from across the ages, you never know what kind of treasure is in store.